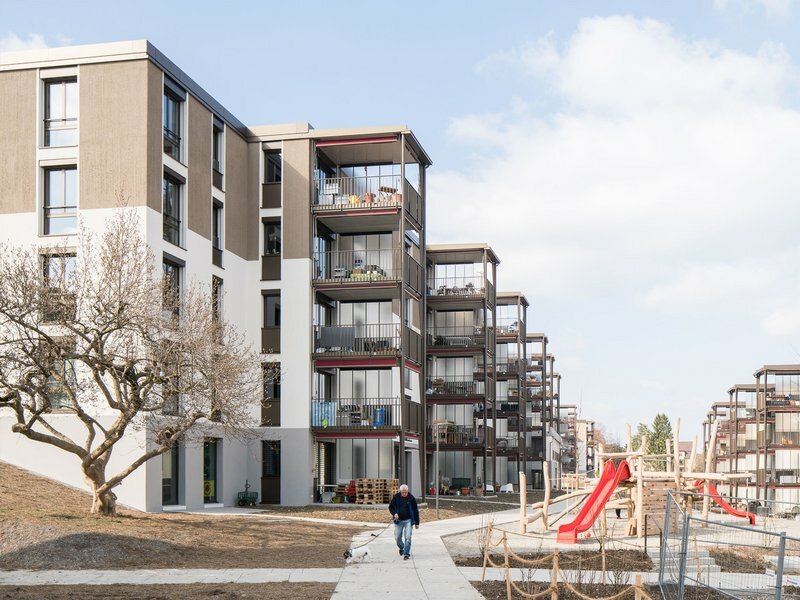 The Entlisberg housing development in the verdant district of Wollishofen arose from a cooperative sense of community and the need for greater residential densification. 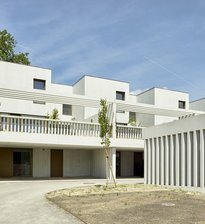 The new buildings are configured to give a permeable impression while enclosing green areas congenial to the setting. The urban development here thus maintains the generosity of the collective outdoor space while also creating a new complex with a distinct identity and character. The architecture is designed to respond to this backdrop of spaciousness: Balconies arranged perpendicularly to the volumes give the depth of the interiors an interesting rhythm while articulating the street façade. The buildings at the north and south ends of the complex are deeper to accommodate uses that serve the wider area. The volumetrically differentiated building elements result in a wide range of different types of housing units. 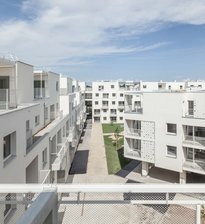 For many of the apartments, the way they relate to the street and green space is a central theme that defines the quality of life there. In order to fit in with the scale and look of the surrounding residential development, the vertical articulation of the façades is accentuated through the use of different colours. The materials used in the façades and the shape of the tower-like balconies further anchor the complex in the parklike environment.